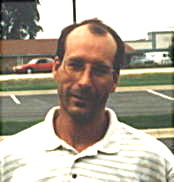 My husband’s brother, Nehemiah "Nick" Swigart, 39, was burned to death in his car at about 2:30 a.m. on January 18, 2003, in Lafayette County, Mississippi. We live in Macomb, Illinois, about a nine-hour drive away. For us, the nightmare started when Deputy Jay Hill from the Lafayette County Sheriff's Department called our 16-year-old daughter on her cell phone and asked if she knew Nick Swigart. When she told him, “That’s my uncle,” Deputy Hill told her there had been an accident and a fatal car fire. He said there was reason to think the victim was Nick, but they needed dental records to identify the body. My husband and I got the records together and made immediate plans to deliver them in person. We assumed Nick had been in a wreck. It was not until later that day, when we talked to Nick’s landlord, neighbor and coworker, Bobby Rackstraw, that we learned there had been no wreck – only a fire. Bobby filled us in on the events of Nick’s last day. The two friends and worked construction on a new addition to a hospital and got off work at 4:30 p.m. Nick’s van was out of commission, so he rode home with Bobby. They stopped at the bank to cash their paychecks; stopped by Nick’s place to pick up a tester light so Nick could fix the heater in Bobby’s wife’s car; and proceeded on to Bobby’s house, where they and Bobby’s wife, Teresa, cooked steaks and Nick drank three beers. Since Nick didn’t have a phone, he called my husband from Bobby’s house just to chat – (family and friends meant a lot to Nick, and he called us at least once a week). This time their conversation was cut short, because I needed to use the phone. Nick found a wire that had shorted out on the heater in Teresa’s Malibu and fixed it. He left for home about 8:30 p.m, driving the Malibu, because it was very cold. Nick’s cabin was only an eighth of a mile from the Rackstraw house, and he was planning to return the car early the next morning. At 2:40 a.m. the sheriff’s department received a 911 call directing them to a car fire 25 miles from Nick’s home. Nick was dead inside the car, positioned with his legs under the steering wheel, his upper torso across the bench seat, and his head next to the passenger door. Police determined that the Malibu was titled to Bobby and contacted him. Bobby confirmed that the car was his and that he had loaned it to Nick the previous evening. When the police went to Nick’s cabin, it was obvious that Nick had gone home as he had said he would, as he had showered and his work clothes were on the bathroom floor. They also found four empty beer bottles, so Nick had apparently continued drinking after he got home. That fact is supported by his BAC, which was .24%. Nothing in the house appeared to have been disturbed. 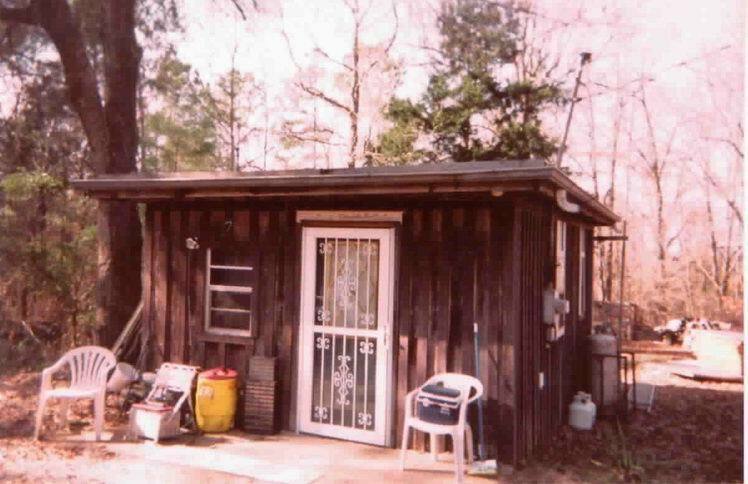 When my husband and I got into town, the police showed us the car, the scene and Nick’s cabin. They told us they had found the lights, TV and the wall heaters on, and Nick’s wallet containing his ID was lying on the table. That’s when we started questioning the situation. Nick never left his house with the lights on, and he never drove anywhere without his wallet. He was found six hours after leaving Bobby's house. Nobody could tell us what he did during those hours or why he turned up 25 miles away. 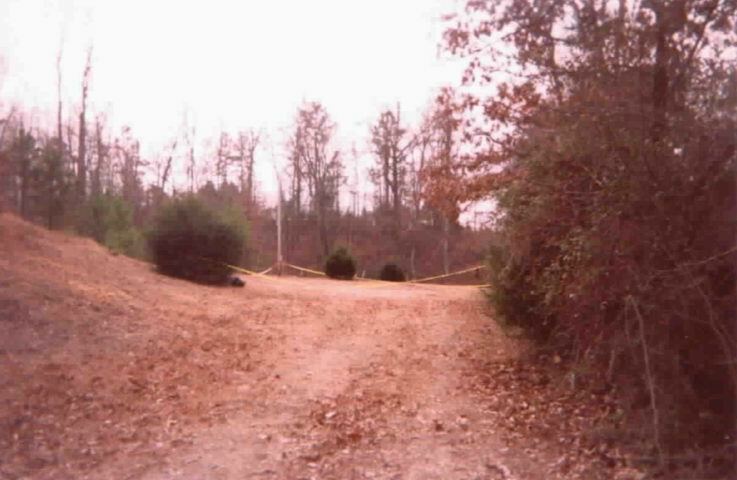 When we went to the scene, we discovered it was a vacant lot way out in the country where a mobile home used to sit. At the back of the lot there was a small pine tree, and the Malibu was pulled up behind that tree. In order for a by-passer to see that car, the flames would have had to be shooting up very high. 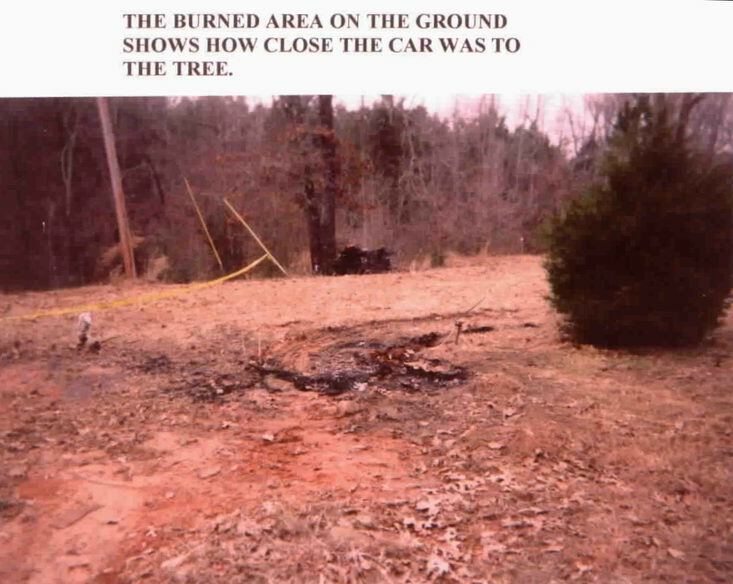 Yet the car was burned only in the front, and the tree, which was two feet away, wasn’t burned at all. It appeared to us that the person who called 911 would not have been able to see that confined a fire from the road. A volunteer fire department extinguished the blaze. When we asked if they checked for footprints or tire tracks, they said there were too many people there to be able to check for any “extras.” We asked if they could bring in a hydrocarbon dog to go over the car. They didn't know what that was. On Jan. 23, Deputy Hill finally agreed to send samples from the car to the lab. The Sheriff’s Department has refused to consider any possibility other than that Nick’s death was an accident, caused by Nick’s dropping a cigarette or wiring the car heater wrong. They insist that, because his BAC was .24%, he must have passed out and been unable to get out of the burning car. That reasoning doesn’t make sense to us. Nick was a habitual drinker and was able to consume substantial amounts of alcohol without being noticeably affected. Besides, he apparently drove himself 25 miles without any problem. Why would he suddenly pull into a field and pass out? 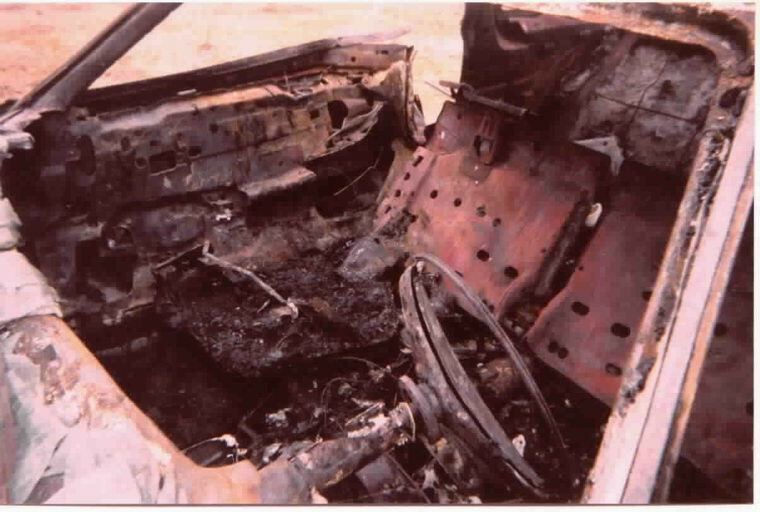 I’ve since shown the pictures of the car to our local fire marshal, and he does not believe a cigarette could have started that fire. He said it is very hard to get a car to burn with a cigarette. It also seems highly unlikely that the heater malfunctioned. Nick was schooled in electronics. Fixing a shorted out wire was all in a day’s work for him. Bobby is convinced that Nick would not have driven the Malibu anywhere without permission. The only place we can think of that he might have gone is to a boat landing down the road from his cabin. There is a pay phone there, which Nick used often. That’s a bad area, and Bobby had warned Nick not to go there alone after dark because a lot of crack heads hang out there. We speculate that Nick may have gone to that pay phone to call his brother back and resume the conversation they started earlier that evening. We gave the police the names of two people we consider possible suspects. One is a crack head who hung out near Nick's cabin. The other is a guy who had a vendetta against Bobby and vowed to get revenge on him. The police asked the crack head when he last saw Nick. He told them it was before the holidays, and they accepted that without question. They never talked to the second man at all, and they never interviewed the person who made the 911 call. There are too many unanswered questions for us to accept Nick’s death as an accident without a more thorough investigation. For one thing, the money clip that Nick always kept in his right front pants pocket was missing. The police say it must have melted, but that doesn’t seem possible. Nick was found lying on his right side, and there was a box on the seat he was lying on. That box didn’t melt, so why would the money clip? The keys to the car were missing also. The police tried to tell us those melted as well. We requested that they examine the car and try to find evidence of melted metal. They would not do that. We have requested copies of all the case reports and scene photos, to which we have a legal right, since the case has been closed. All we’ve received to date from Lafayette County are four sheets of paper. We requested the name of the 911 caller. They won’t tell us that and won’t even say if it was a male or a female. 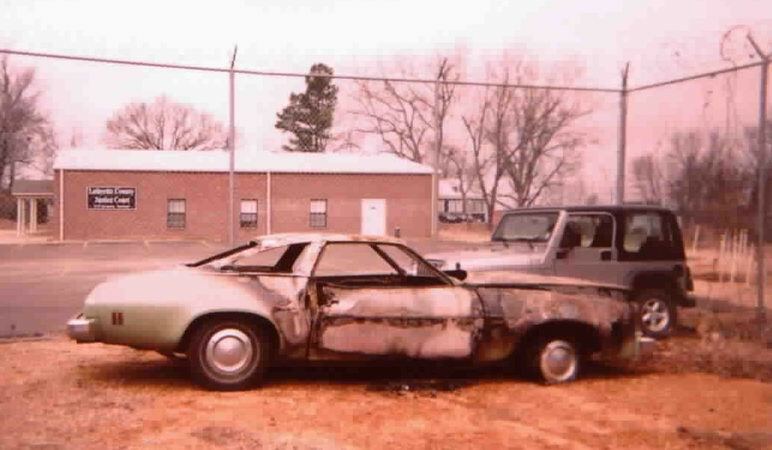 We requested the coroner’s report, the fire marshal’s report, and the report from Mississippi State Police. We have not received any of those. Aside from Nick’s drinking problem, my brother-in-law was the greatest guy in the world. He was a bit of a drifter, who made friends wherever he went, and those friends were always good people. He was a fun loving person, but also a hard worker, who never allowed his drinking to interfere with his work. Above all, he was a beloved brother, brother-in-law, and uncle. We grieve for him – we miss him – and we want to know what happened to him. Why was he out there in that field in the middle of the night, and why was he unable to get out of a burning car? Nick was a survivor, and he didn’t do stupid things. There is no that way that he drove 25 miles from home, passed out, and burned himself up.